The Other-Ventures were marketed by Adventure International as a series of games by authors other than Scott Adams. The Curse of Crowley Manor by Jyym Pearson is #2 in this set. This rainbow-striped box is a re-release, done in 1983 or 1984, around the time of Sorcerer of Claymorgue Castle and the Questprobe series. 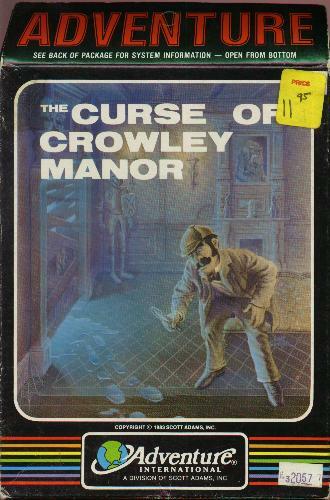 The cover artwork has the title The Curse of Crowley Manor, while the sides simply read Crowley Manor.